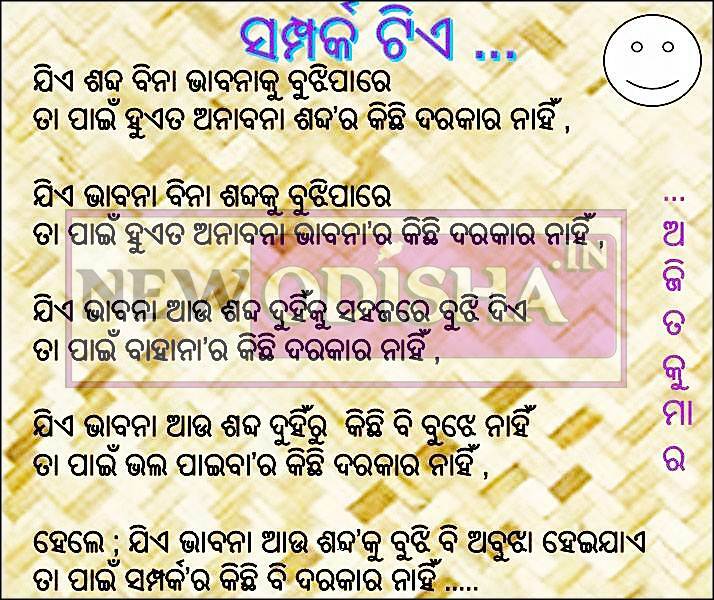 Samparka Tie is a very beautiful and heart touching Odia Poem which is written by Mr. Ajit Kumar Swain. You can read this beautiful odia poem “Sampaka Tiye” here on New Odisha. A very nice poem. Excellent. Thanks for sharing it. Give Responses for "Samparka Tie – Odia Poem by Ajit Kumar Swain"